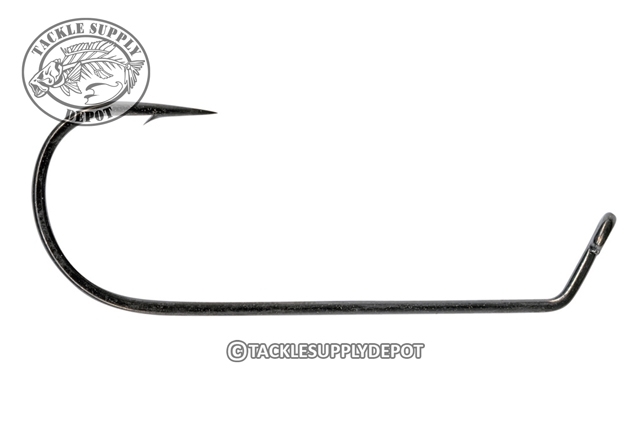 Mustad 32798NP-BN Flat Eye 1X Fine Wire Flipping Hooks feature a chemically sharpened needle point, tempering for strength and 60 degree bend eye shank. These premium jig hooks are used in many of the Do-It weedless jig head molds. Black Nickel Finish.